It’s Love Month here at the Great Unwashed. Well if we’re getting technical, it’s Love Half Month; every single day leading up to the fourteenth, I am releasing a love letter written to an important person in my life. Today’s Love Letter is brought to you by The Adventures of Beka, who nominated me for a Liebster Award, thus reminding me that I really and truly love my readers, so today my Unwashed public, it’s all about you. I love you; I loved you from the beginning when you were little bars representing five people on the graph of my daily stats. I loved you from your first “Like”, your first follow and I will always remember your comments. They bring warmth to my heart along with an unparalleled satisfaction that my work is being enjoyed (and not just by my Mom). Though I write for myself but also because my Mom doesn’t want to hear about when I accidentally show up at church partially naked anymore, on occasion, I write for you. And I always am happy when you obviously enjoy my work too. This here website is a community and together we’re making it great. So I just wanted to say thank you and express my continued gratitude and admiration that you take the time to read my words. Though I won’t nominate any bloggers because I’ve given out the Liebster Award before, I will answer some questions. What food means “home” to you? I don’t have a food that means home, but weirdly enough watching these women is my comfort food. “Eat all the cheese”. I stand for cheese, consistently eat all of it, and rarely share with others. If that isn’t a motto to live by, I don’t know what is. No one ever says “Eat all the turnip” mostly because the replacement motto would soon be, “Run from all the flatulence”. If you discovered a magic ring that made you invisible, what would you do with it? I would take the small person “I can fit in that” game to new levels and scare the living daylights out of every person I live and work with. To write, to share my stories, to have an outlet for my creativity, to amuse myself, and others. What keeps your blog fresh? A twice weekly scrubbing. I jest, that would be awful. No, I sprinkle lemon zest on my computer just before clicking “Publish”. I can’t wait to celebrate with you next year too. Neil Patrick Harris Turned Me Down Again Then Asked Me To Stop Calling Him. But This Is Still An Awards Show. In my estimation of when I would put up this post, I allotted for the time change and for travel however what I neglected to consider was after arriving at my vacation destination at one am Sunday morning, Ontario time was that when I awoke I wouldn’t be able to piece together a sentence much less be able to edit. So I apologize sincerely for the lateness of this post. Air travel. Many lines, lots of sitting and you feel like you’ve been hit by a Mack truck afterwards. For whatever reason no one from the travel industry has approached me to advertise on my site. Normally that is my version of traveling, however it’s been a year since I stepped foot onto an airplane and much like child birth, I forgot the pains associated with it. So ages and ages ago Erica Funi of Finding The Funi nominated me for the Liebster award. 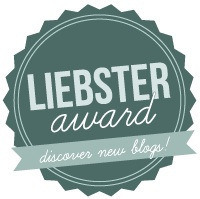 I posted the first of the four steps two posts ago but the next steps in the award are choosing ten bloggers, posing ten questions to ten bloggers and then finally putting up the Liebster award logo. Without further adieu, my questions. The Great Unwashed’s questions to ten talented bloggers. If you had to choose between Anna Karenina, War and Peace and Steve Martin’s acclaimed novella “Shopgirl” which book would be the best weapon in a bar fight? What is the longest period you’ve ever gone without bathing? Please note, stays in Turkish prisons do not count. You’ve decided to take on three additional husbands and or wives, who are they? Both living and dead people may be included, although admittedly an attraction to the deceased is a little beyond me. What is your most unfortunate public transportation story? 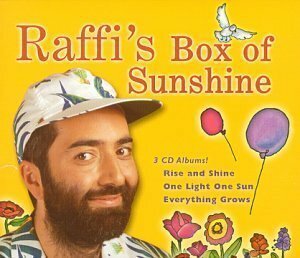 Go back in time, you’re attempting to sell your five year old sibling, what is your asking price? In a bid to secure the Guinness World Record for “Longest and Highest Transport of Tom Cruise” you’ve decided to piggyback this superstar across the Andes. What phrase do you repeat to yourself during the tough parts of the trek to spur yourself onwards when Tom’s pointy hip bones are digging into your spine? What do you consider to be a valid reason for a hunger strike? Name three items you hide from your spouse or significant other or even better, yourself. Where are the hiding places for these items? Wait! Don’t tell me, I’m a terrible secret keeper. How do you feel about my interviewing skills? Will they make Oprah love me? Isn’t it the most swanky pants logo you’ve ever seen? It doesn’t even matter that it’s writing’s version of a participation ribbon. 1. The Byronic Man– Sometimes I send The Byronic Man fan mail in the middle of the night. Even though it’s completely incoherent, he makes a point of answering me. He tells stories using a combination of the written word and stick figure drawings. His stick figures are the most expressive that I’ve seen. 2. Hold The Condiments– Hannah writes a fantastic blog but even better than that when a complete stranger (me) asked for her home address to send fan mail, she gave it out! Mind you she moved directly after that, however I’m certain that the two events are unrelated. 3. Listful Thinking– This is what Hyperbole And A Half would look like is Ally Brosh made lists rather than Microsoft Paint inspired cartoons. Sometimes I pretend that I’m Stephanie just so that I can claim to be funny, interesting and photogenic. 4. The Good Greatsby– Paul Johnson of The Good Greatsby is my ideal imaginary third husband. He’s suave, debonair, extremely good looking and is excellent at turning a joke. He’ll get along splendidly with my imaginary second wife Martha Stewart. He’s also a blogger for the Huffington Post. 5. Carrie Blueberry– For a period of time Ms. Blueberry represented 66% of my Twitter following. She was gunning to usurp my father of The Great Unwashed’s Superfan title. On occasion she takes self portraits which ooze emotion. I’ve had to wipe joy from my keyboard after gazing at her online photos before. That sounds vaguely dity but it shouldn’t I’ve also dabbed despair from my screen after looking at her work as well. She has a large range of expression. 6. Ways Of Wanderers– I knew Jess before she was a wanderer. No that isn’t true, I knew Jess before she was an international wanderer. There’s a quiet pensiveness to her writing which is impossible to replicate. She’s quite popular and writes about her travels across the world with her boyfriend Brent*. Side note -Brent is a very nice guy who gives excellent hugs which are longer than the acceptable average embrace length of 7.6 seconds, even if one accounts for a standard error of 1.2 seconds. I figured the world needed to know that. If you see Brent on the street and ask for a hug, you’ll get a good one. Although one probably shouldn’t follow my advice seeing as I’ve now said that i ask for stranger’s addresses and then advise you to hug them. 7. 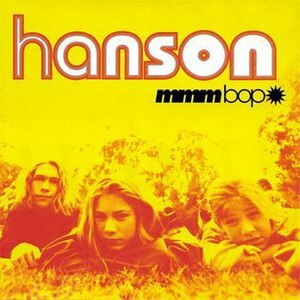 Rant And Roll– Vanessa is the daughter that my Mom meant to have. She runs an hour and thirty minute half marathon without training. This blogger also possesses terrific fashion sense that she displays by wearing really loud pants. Not loud as in pants that shout at you, although I’m sure Vanessa would be a fan of those too, but more in terms of prints. 8. Anna Gay– Anna is also a photographer friend of mine. I say friend but really it’s a one sided relationship where I tell her she’s talented and issue complaints about how there are too many pictures of cats in hats on the internet and a dearth of her work. 9. Drinking Tips For Teens– This blog is just as hilarious as it’s title. Ross specializes in satire. Ross is also Canadian which makes him twenty funnier to me. I especially recommend reading him if you are from Quebec. 10. Olivethepeople– This blog is fantastic, Olive wrote a piece that reminded me of Shane Koyczan’s work. Also I like her site because it makes me think of the Olive Garden, even though to my knowledge Olive does not serve mediocre Italian food. She also used to work for Oprah, and as we all know Oprah is synonymous with greatness and I want her to love me. Adoring Olive’s blog is clearly the first step in the Oprah-loving-me process.